On November 20 Spain held a general election where a low turnout over the 2008 election marked the return of the Popular Party to the government of the European peninsula. 57.65% of the Spanish went to express themselves to the polls; a number lower than 2008, when 60.95% of those registered went to vote. Out of 35.7 million people who could exercise the right to vote in Spain, 34.2 corresponded to residents living in Spain and, 1.49 million to Spanish living abroad. The decline in voting from abroad was another feature of this election. Out of 1.49 million registered in the Electoral Census for Spanish Abroad (CERA), only 136,400 applied to participate in the elections. The reason was the enforcing by law of the “begged vote”, which requires all those who wish to vote from abroad to contact their respective Census Bureau. The reduction of participation is notable compared to 2008, when 382,568 people voted out of the 1,205,329 surveyed. The latest reform of the Electoral Act by socialists and conservatives agreed and approved in January this year, ended the right of migrants to participate in municipal elections and tightened the requirements to do so in the regional, general and European elections. As noticed by many Spanish residents abroad, the introduction of the “begged vote” system, decreased significantly the participation of migrants in the polls until completely dilute their influence. 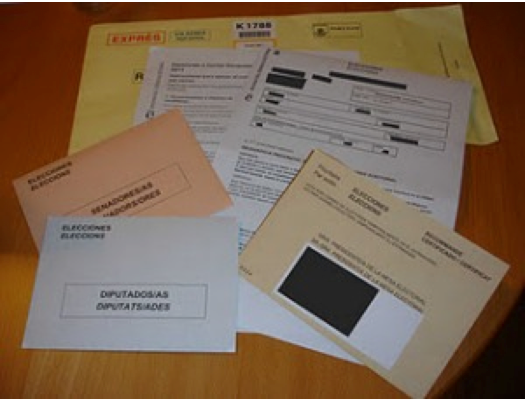 Similarly, problems with documentation and postal voting also affected citizens residing in Spain. In the elections this year, the low participation made the ballots from abroad have little ability to influence the results that placed the Popular Party back to the Spanish government. Twenty days away from the Colombian regional elections of October 30th, 2011, the names of elected Mayors in six municipalities are still unknown; besides, in Bogota, the make-up of the Council and local Management Boards have not been established. As of today, 260 claims from candidates have been counted. 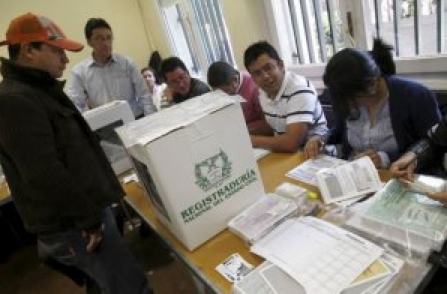 In Bogota, the situation got to the point that the Registry requested the National Controller to perform a special audit of the process led by the District Vote Counting Commission. In this “revision”, errors were found in the completion of forms by election supervisors in 700 of the 13,545 precincts installed in Bogota. Besides, the Polo Democrático party requested an immediate intervention by the Colombian Attorney General due to reports related to alleged inconsistencies in the city´s electoral results. On the other hand, as if it were not enough, liberal senator Juan Manuel Galán, denounced the Registry because according to him, there is an inner “cartel” soliciting money from candidates once elections are over, in exchange for having results changed. Therefore, the implementation of a reliable, secure and accurate automated voting system is a latent need in Colombia. These regional elections once again arise questions that have become recurrent and are related with political will to apply electronic voting in the country. Quick vote counting has been approved in Colombia, and in the case of presidential elections results are always known quickly, but when it comes to legislative and regional elections, the systems show their seams, the story is different and delays and denouncements are abundant and remain in force for some time. Let us hope that with the proposal made by senator Juan Manuel Galán, toward the reform of the the Electoral Code, a “final step towards a biometric identification of voters and toward electronic voting” is taken, and ultimately leads to a modernization of Colombian elections. For the elections of 2010, the Elections Supreme Court (TSE in Spanish) of Costa Rica is performing the registration of national residents abroad, in order to develop a computing system that enables electronic voting from abroad, without the need of using ballots. For now, it has been reported that according to the amount of voters, the corresponding consul will decide if computers for votes to be casted will be enabled. This will be included in an aggregation plan, which will later issue a law that will be sent via web to TSE.